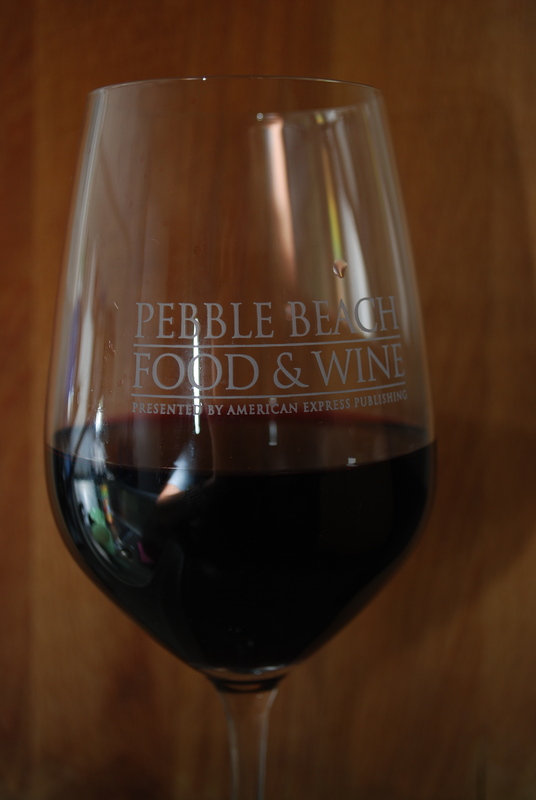 Not even the unusual torrential rains could damper my excitement as we took the drive down the coastline to attend the 3rd Annual Pebble Beach Food & Wine. 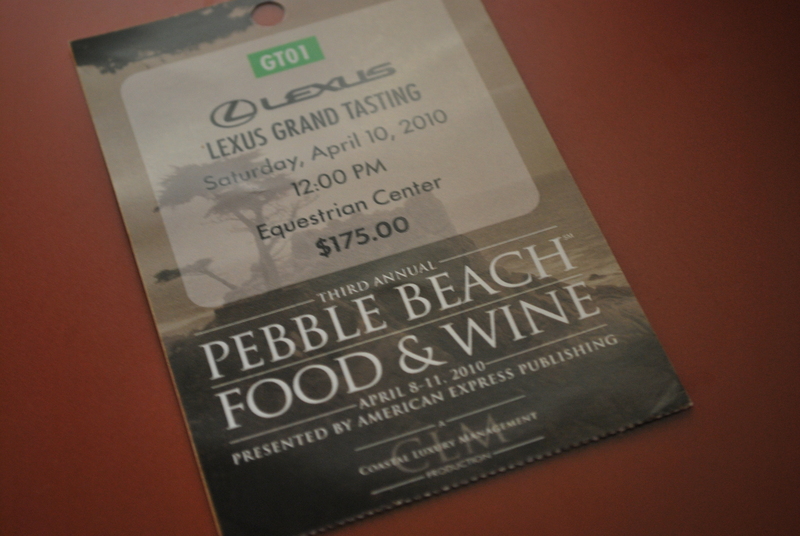 Upon pulling up to the Equestrian Center I was overwhelmed by the sight of the huge white tents that covered 60,000 square feet—the location of the Lexus Grand Tasting Event. After braving some serious winds at Will Call, we were ushered into the tents—though it could have been another world as far as I was concerned. 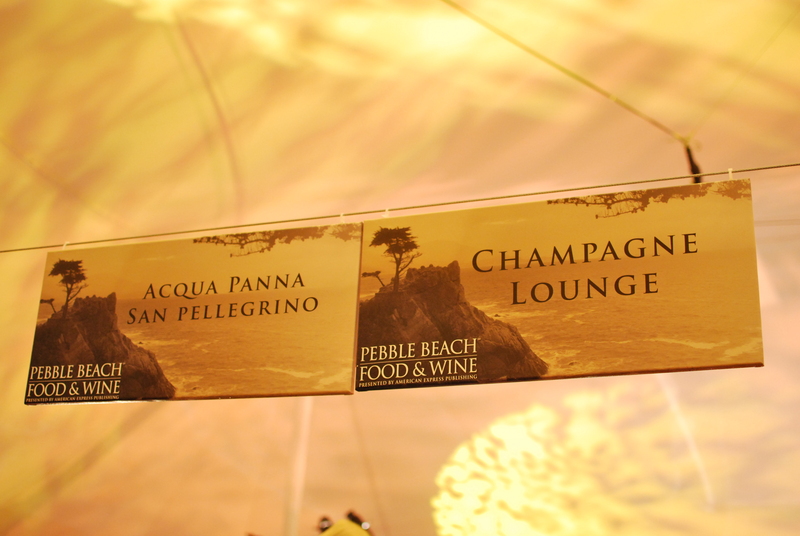 Warm ambient lighting bathed the white tents as the wonderful aromas mixed with the guests chattering filled the air. Not 5 seconds later were we warmly greeted with wine glasses and bags to carry all of our goodies. 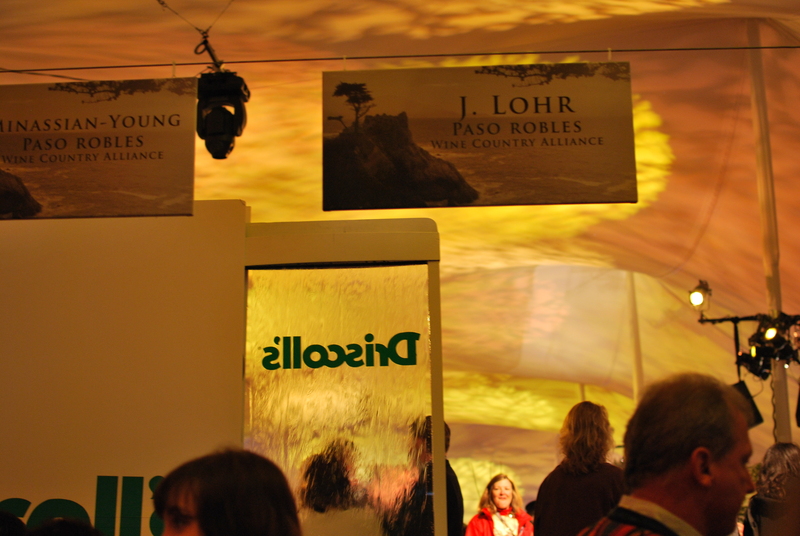 As we walked passed the “foyer” area of the tent, I stopped mid-step to take in all that was around me. 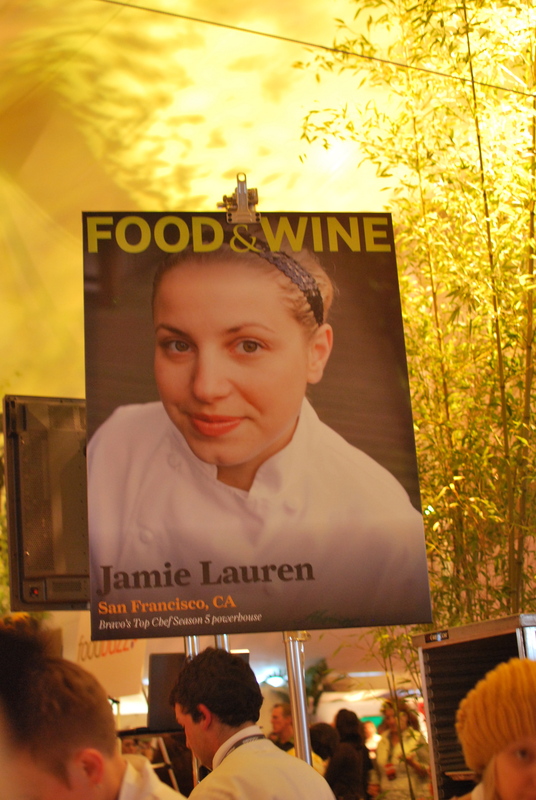 Food and wine stations packed side by side, groups mingling throughout the area, giant posters of celebrity chefs behind their tables…..I was overwhelmed. And yes, slightly intimidated by all that was before us. So what’s a gal to do? Simple, actually. After a brief stop in what is sure to be the fanciest trailer-bathroom I will ever use, we headed straight for our first wine tasting. 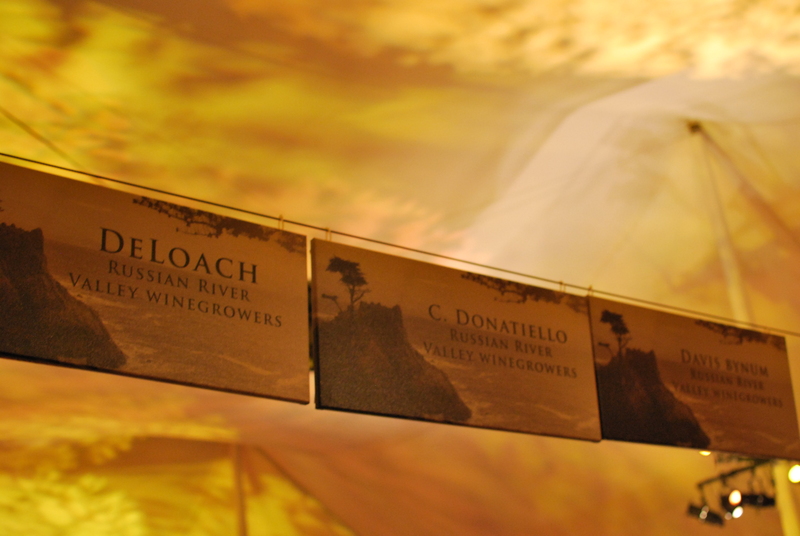 With over 200 wineries present, it was difficult to decide where to begin and thus headed to what was familiar—J.Lohr Vineyards. 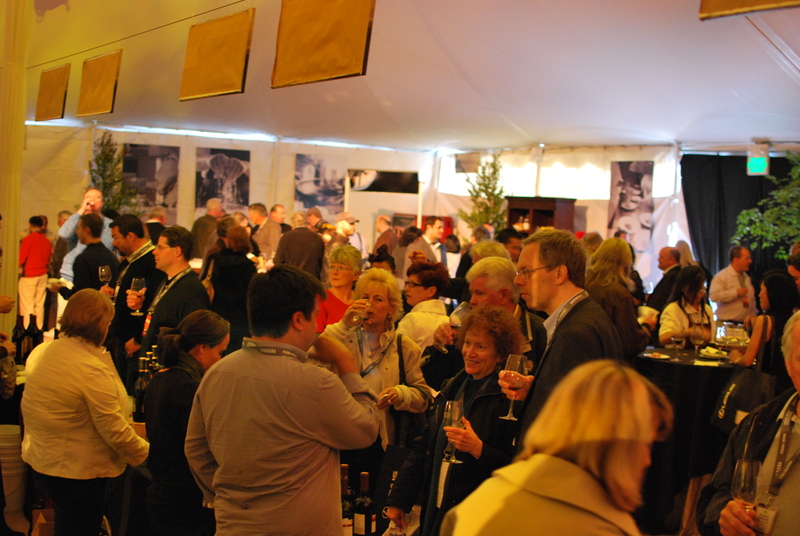 With a lovely Cabernet Sauvignon in hand we began our 3 hour tour around the tents. Before I go on, I must admit that after the first 30 minutes of feverishly taking notes after each tasting while handling my camera, I found it difficult to juggle everything. Therefore, my accounts of the day does not encompass EVERYTHING we sampled but it should give you a good idea of what we absolutely indulged in. 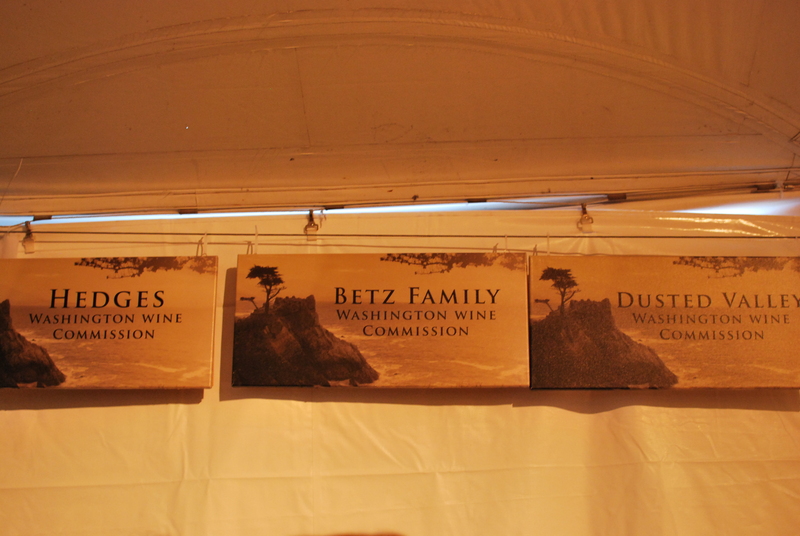 Let’s start off with the extremely impressive array of wineries we sampled from. 2004 Cabernet Sauvignon: Light, palatable though not as dry as I would prefer. Kali Hart Pinot Noir: Sweet and fruity. Very reminiscent of a Muscat dessert wine. Logan Pinot Noir: Berry, berry, berry. Kutch Wines– The friendly woman who was attending to the tastings was the wife of the wine maker. 2 types of Pinot Noir (all barrel tastings): Very light though somewhat immature—natural for a barrel tasting. Cabernet Sauvignon: Mild but what I enjoyed about it was that it wasn’t too fruity. 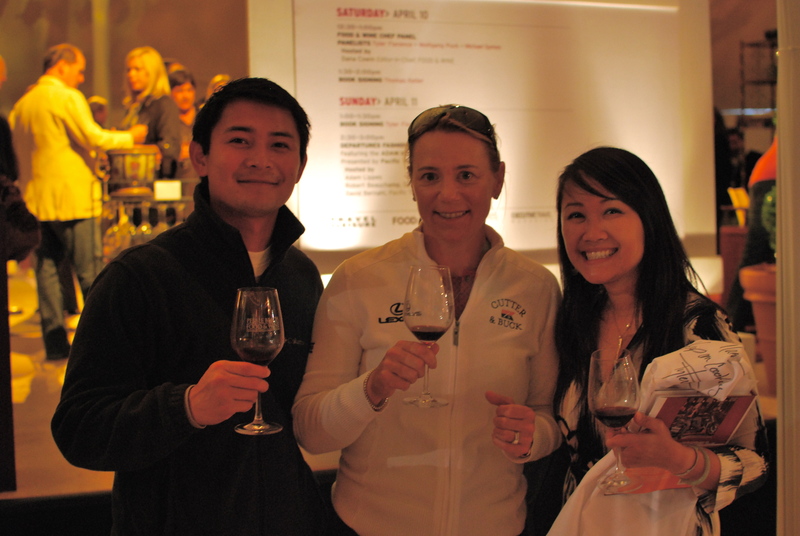 Annika: Syrah named after Annika Sorenstam, one of the most celebrated female golfers in history. 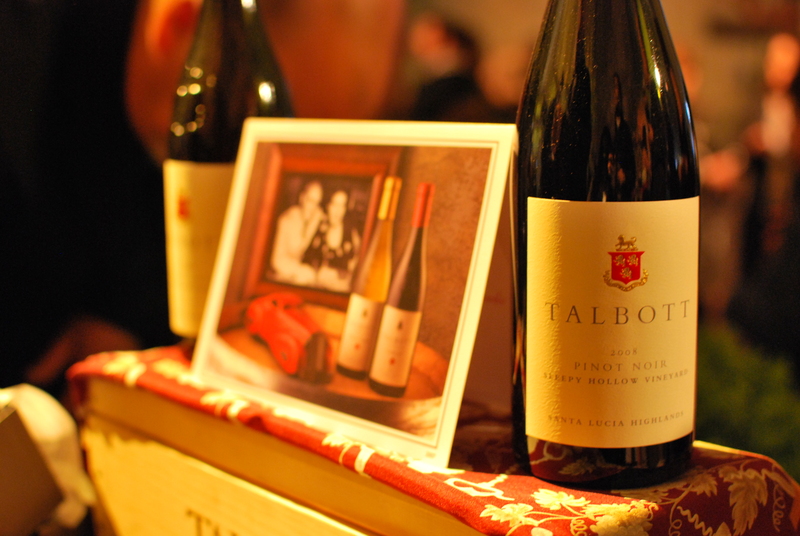 This Syrah/Cabernet Sauvignon blend was smooth and slightly spicy—perhaps suitably after its namesake. 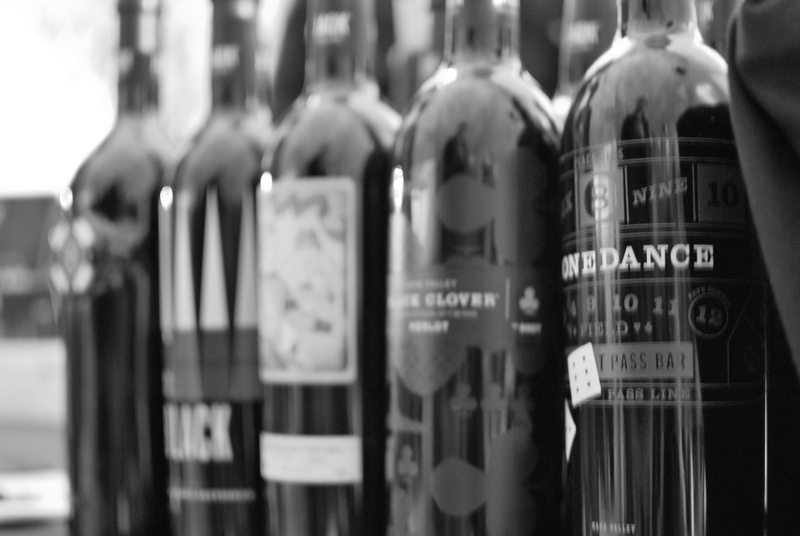 22 Black: A 2007 Cabernet Sauvignon. Easy vino that would be perfect for your every day wine. And no, that’s NOT a bad thing at all. High Roller: Another 2007 Cabernet Sauvingon. Fine, smooth, and aged in the French Bordeaux style. Let’s just say I wouldn’t kick it out of bed. Domaine Chandon Winery—An oldie but goodie. Etoile: A delicious cuvee with tiny bubbles that hinted of honey and similar florals. I could have easily sipped on this all day. Though Bubbly is after all, one of my favorite things in life. 2007 Pere de Famille Cabernet Sauvignon: I am not too familiar with Washington wines but this is something I would definitely pick up again. On to the Food Samplings….What a Spread!! As astute as I was trying to be with taking notes of everything we sampled, I just couldn’t document it all. Sorry Folks! 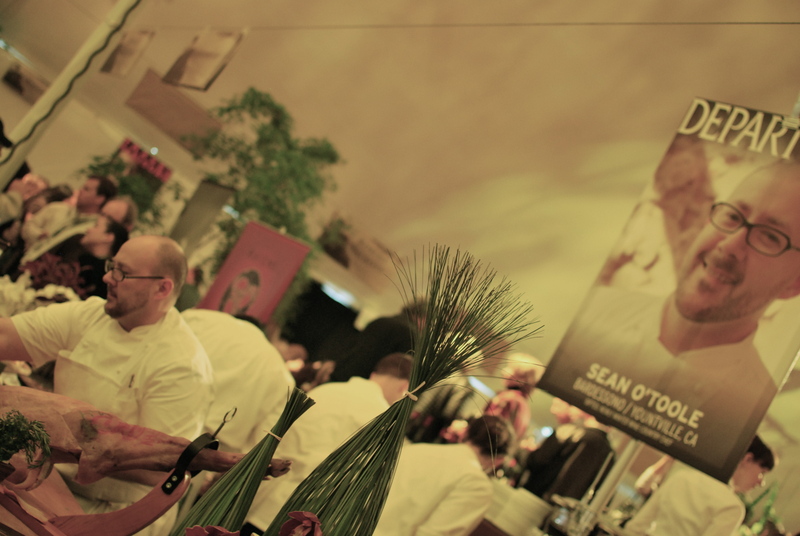 But below is an overview of some of the samplings with photos of the dishes (sometimes with a bite taken from it) and the Chefs that created them. 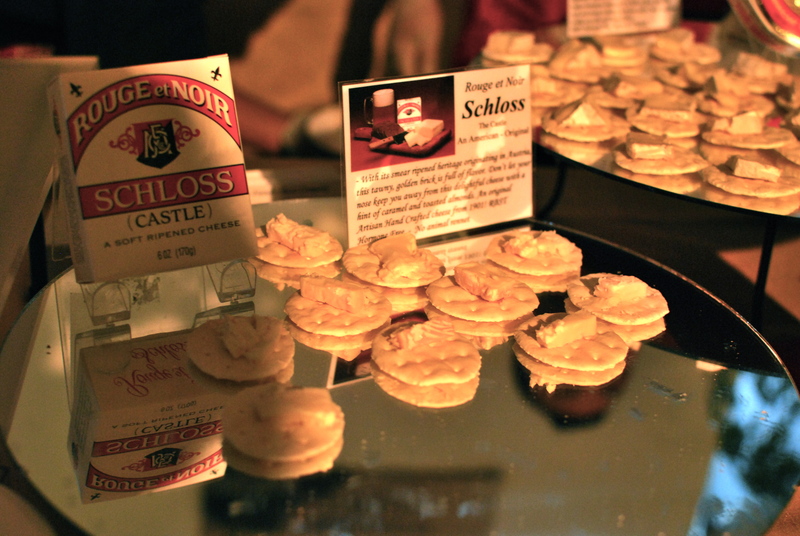 Marin French Cheese Company: Triple Cream Brie, Yellow Buck Chevre Goat’s Milk Camembert, and Rouge et Noir Schloss Cheese. Marin French Cheese Company is the oldest operating cheese producer in the United States that specializes in soft ripened cheeses. Although the Yellow Buck Chevre Goat’s Milk Camembert won the America’s National Trophy for Best American Cheese, we LOVED the Triple Cream Brie. It was, needless to say, creamy and so sinfully rich. YUM. 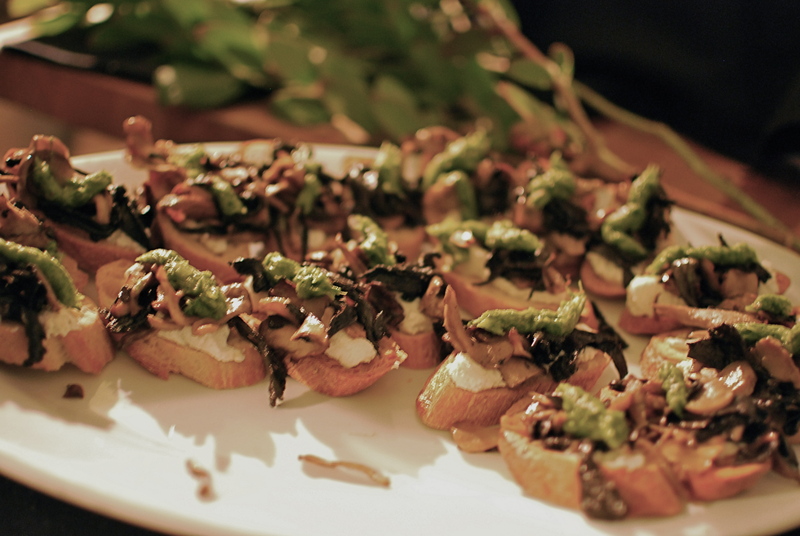 Chef Liza Shaw – A16: Wild Mushroom, Green Garlic and Ricotta Crostini. The wild mushroom medley was delicious…earthy, aromatic and brightened by the flavors from the green garlic. The crostini itself was a bit to crispy which made it a little difficult to bite into. However, I appreciated the creaminess from the ricotta. Chef Mark Ayers – Pacific’s Edge: Smoked Braised Pork Belly, Garnet Yams and Port-Blackberry Reduction with Fresh Origins Micro Celery. 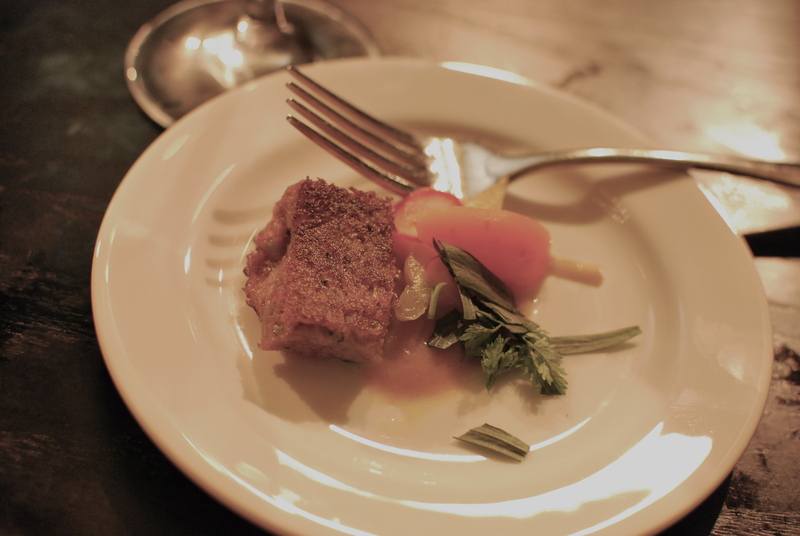 Mmmm….pork belly. Does it get any better than that? 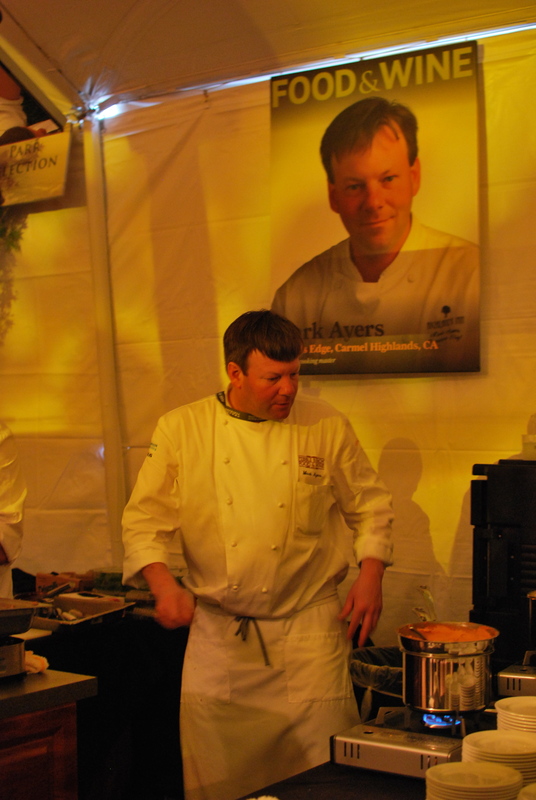 Mark Ayers and his team produced a rich and succulent pork belly that was slightly smoky and paired with the tartness of the reduction sauce. 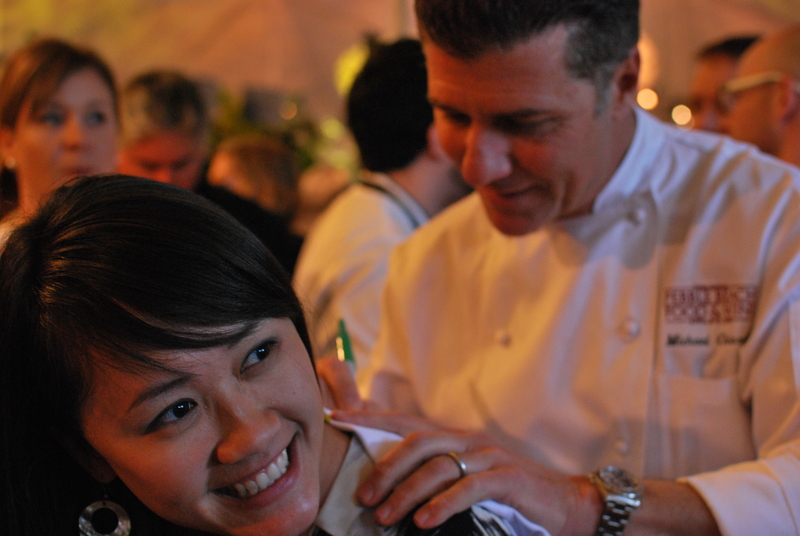 Chef Charles Phan – The Slanted Door: Northern Vietnamese Style Halibut, Vermicelli with Fresh Dill, Scallion , Peanut and Pineapple-Anchovy Sauce. Being of Vietnamese descent, I have grown up with dishes somewhat similar to this—Bun Ca Nuong. Chef Phan’s interpretation of this classic dish offers a slightly lighter take with the same reminiscent flavors from the anchovy sauce. Mmmm….good. Chef Anastasia Simpson – Pebble Beach: Peanut Butter Crunch, milk chocolate bavarian, salted caramel cream. Like a Ferrero Rocher in a cup. YUM. Chef Michael Chiarello – Bottega Napa Valley: Smokey Paprika Rubbed Grilled Octopus Spiedini with Olive Oil Braised Marble Potato, Pickled Onion and Salsa Verde. Octopus, Little Potato and Pickled onion all skewered on a toothpick—ready for me to pop it in my mouth. The octopus was incredibly tender with the light smokey seasoning of the paprika. 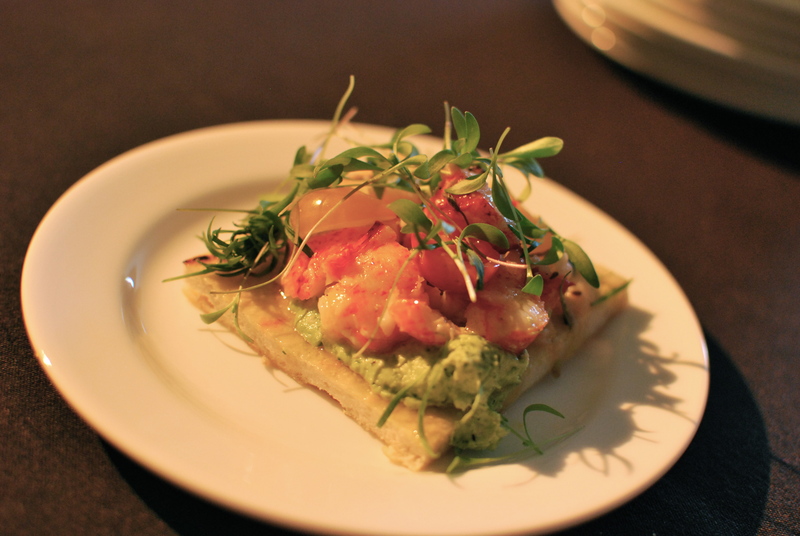 Chef Erik Villar -Calistoga Ranch: Grilled Lobster “Pizza” with mascarpone, baby tomatoes, basil, green house greens. They had me at lobster. Tossed with baby tomatoes, greens, and adorned atop a pizza “crust”—that more resembled a thin foccaccia bread. The bread was a tad chewy for me but I was ALL about the toppings. Again, they had me at lobster. Chef Mike Nemec – Pebble Beach: Pebble Beach Tide Pool in-a-cup abalone, crab, urchin roe, shellfish consommè.Tiny shots of shellfish consomme that gave you the light flavors of the sea. Whimsical, light, refreshing. 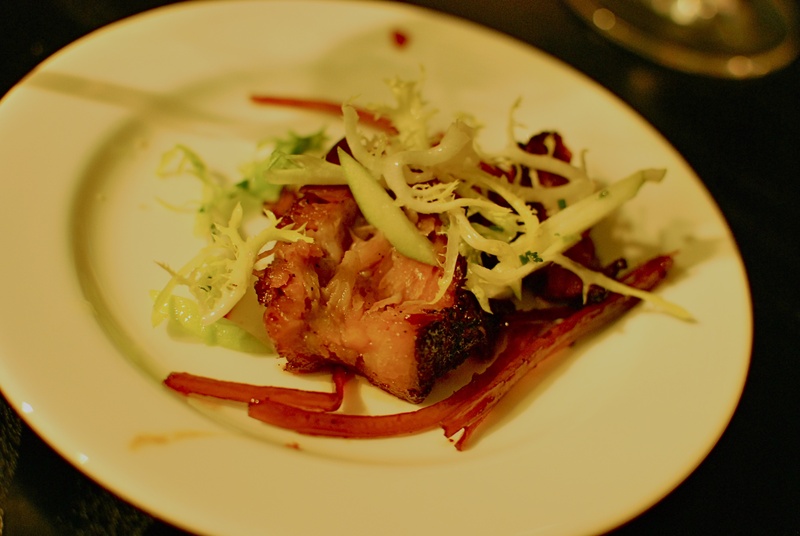 Chef Tom Douglas – Dahlia Lounge: Pork Ribs.Tender, salty (in a good way), juicy, good. I could have eaten a plateful of these pork ribs but unfortunately it was towards the end of the event and my tummy was way too full of happiness. 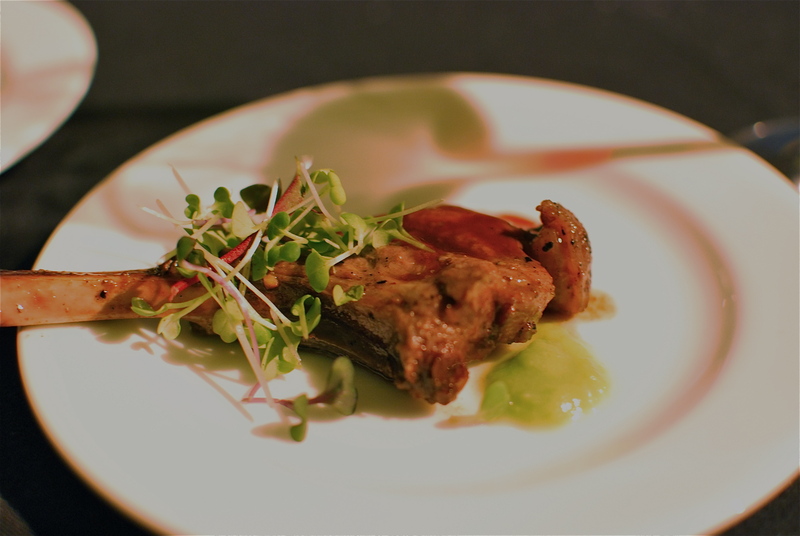 US Foodservice: Pan Seared Lamb Chops with Micro Greens. Extremely well prepared and perfect with all of the red vino we were enjoying. 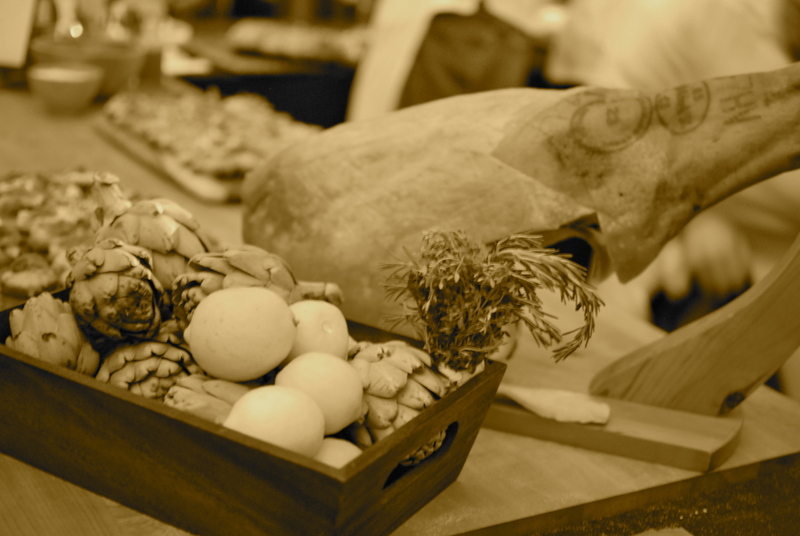 Chef Mark Sullivan – Spruce Marin: Sun Farms Goat Confit. Goat Confit—now that’s something I haven’t tried before. I was a bit hesitant at first, suspecting that it would be gamey. However, it was quite the contrary. Fairly mild in flavor, though—I’m not sure if the tumeric dates masked its true taste. I’ll need to try it again some day. 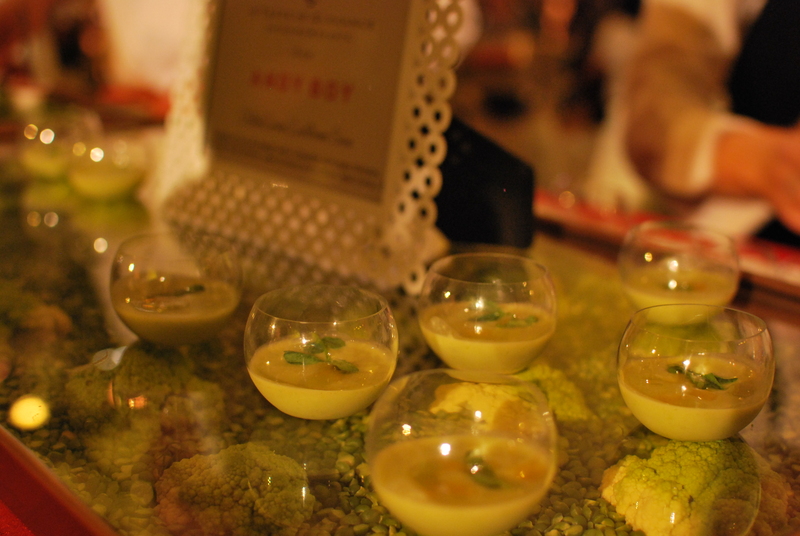 Andy Boy: Chilled Cauliflower Soup. Nutty, “green”, enjoyable…..nothing I could have a huge bowl of but perfect in the tiny shot glass form. Chef Dory Ford -Aqua Terra – Monterey County Ag: Crostini with Rapini, Fennel, Spicy Italian Sausage Ragout and Yucatan Chicken with Nopales Salbutes and habanero Sauce. 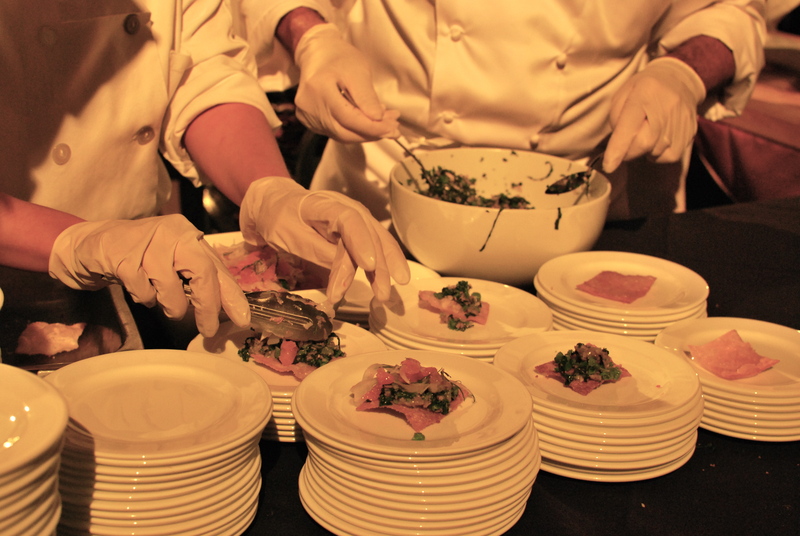 As one of the first stations we stopped at, our palettes were eager for the tasting. 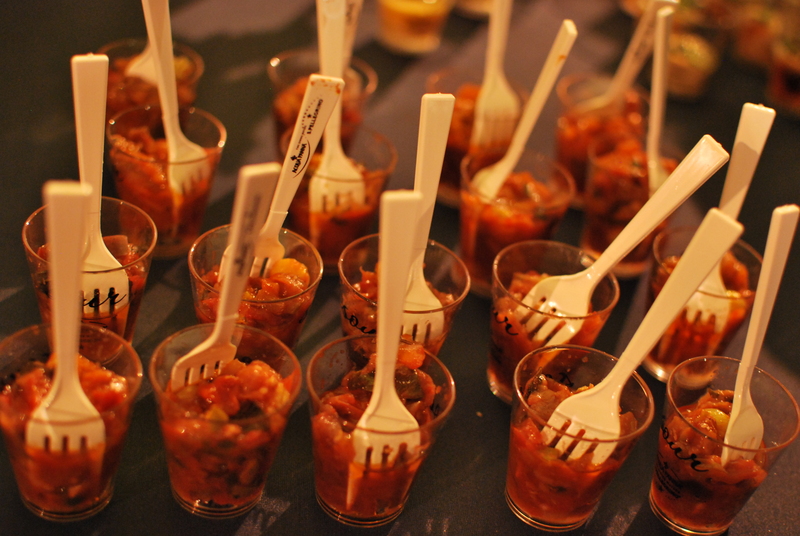 The Crostini with the Italian Sausage Ragout was packed punch with flavors. A little messy to eat as all the goodness was spilling on to my plate—but this gal doesn’t mind diving right in. I really enjoyed the Salbutes –puffy and crispy and loaded with Yucatan Chicken and spicy goodness. Chef Jamie Lauren – Absinthe Brasserie & Bar: Marinated Anchovy Bruschetta, beet puree, burrata, lemon agrumato, maldon sea salt, basil. Now THIS was the surprise of the day. The appearance of the marinated anchovy glistening with its silver skin on top of the bruschetta caught me off guard. I know, for a gal who loves fish sauce, fish paste, shrimp paste, anchovy paste, etc.—this shouldn’t be so crazy. However I imagined it to be very fishy and it was totally not! 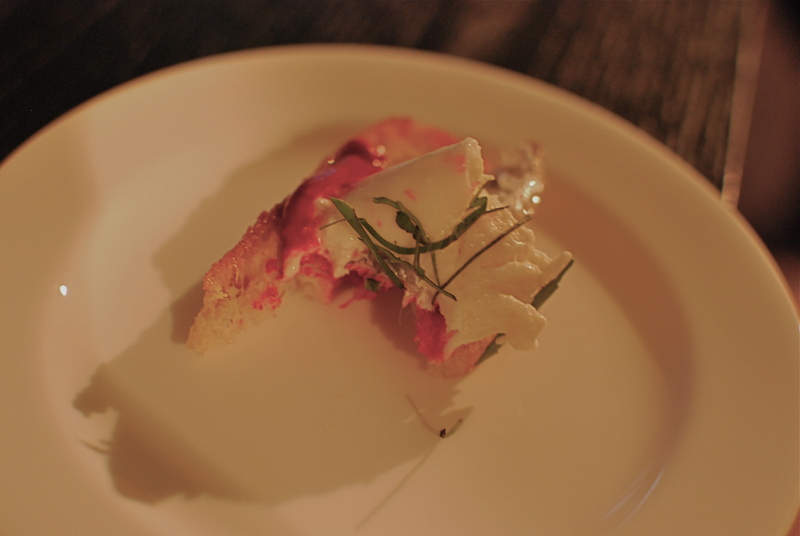 It merely lent a salty flavor to the bruschetta, mixed with the sweet/tart beet puree. Lesson learned—don’t judge a book by its cover. Marinated Anchovy Bruschetta with a big bite taken from it…. 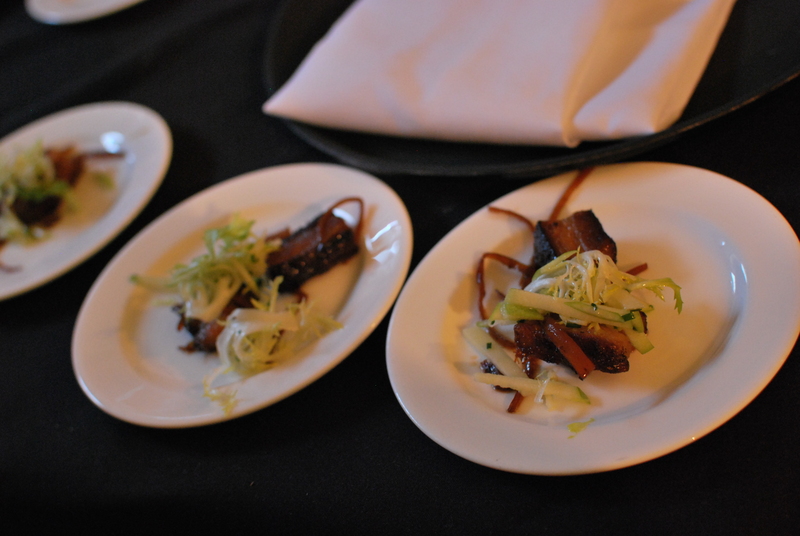 Richard Reddington – REDD: Glazed Pork Belly, soy caramel, apples and burdock. Tied for my favorite sampling of the day. PERFECT balance of salty and sweet on the Pork Belly that just melted in my mouth. I could eat huge plates of that….I would turn into a piggy but I would be a happy piggy. As for the burdock and apple—wow! What a nice surprise and great texture that it added! You’re smart one Chef Reddington! Joseph Humphrey – Murray Circle Restaurant: Crisp Petrale Sole, hijiki seaweed risotto. 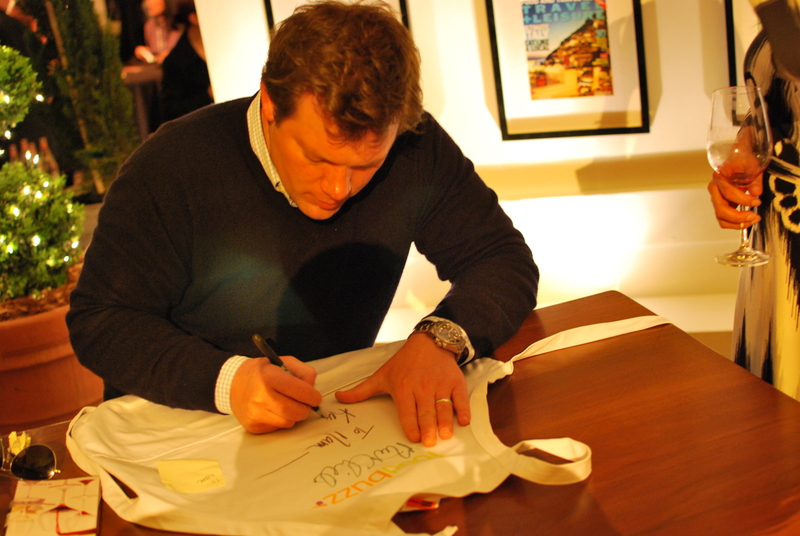 Now please indulge me as I relive some fabulous Celebrity Sitings! With Annika Sörenstam, Ladies Professional Golfer SUPER STAR…. I don’t think I could have possibly smiled ANY bigger…Hey, you would too if you were chatting with Hubert!!!! 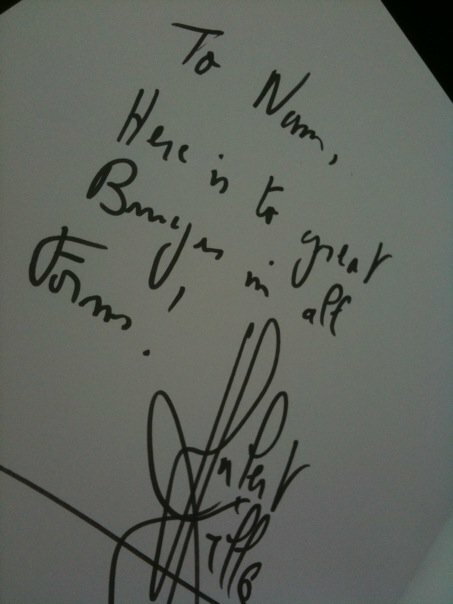 Now THAT is a signature!! 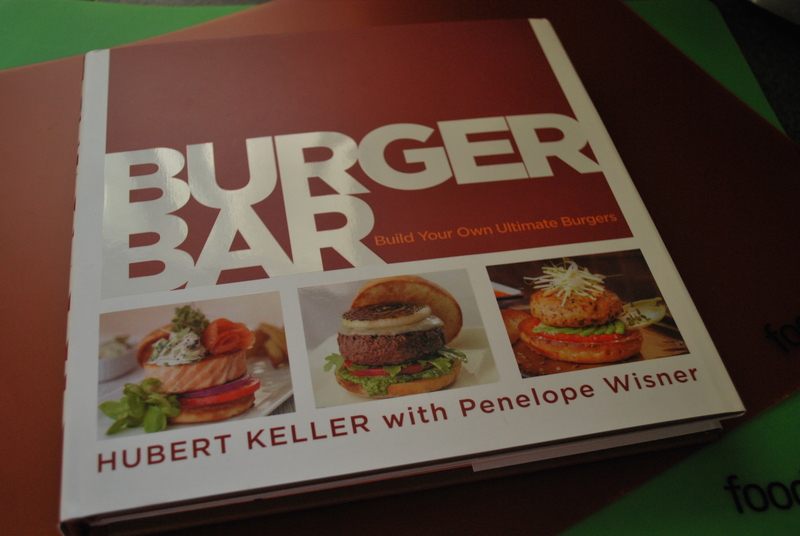 Some love from Hubert for my “Burger Bar” Book….which by the way is fab. And with that dear friends, is where this story closes. 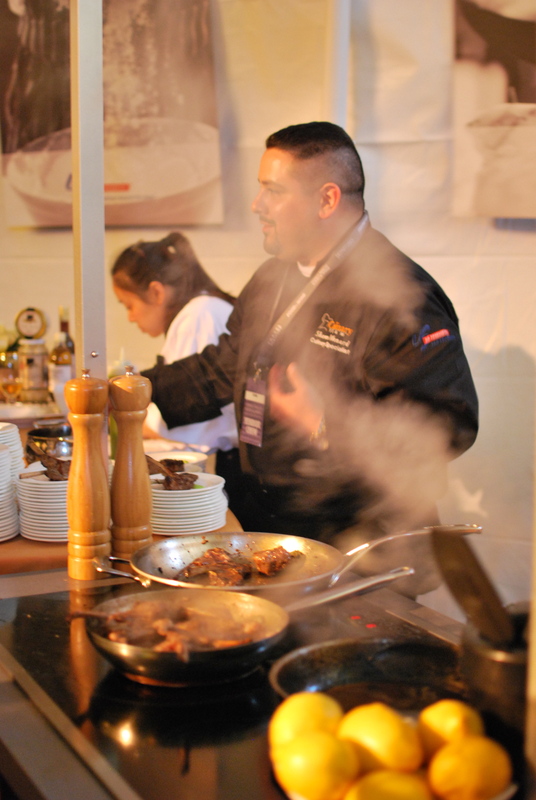 It truly was such a memorable day filled with great food and wine, people passionate about the culinary arts, …..Simply Unforgettable and truly a FOODIE PARADISE. 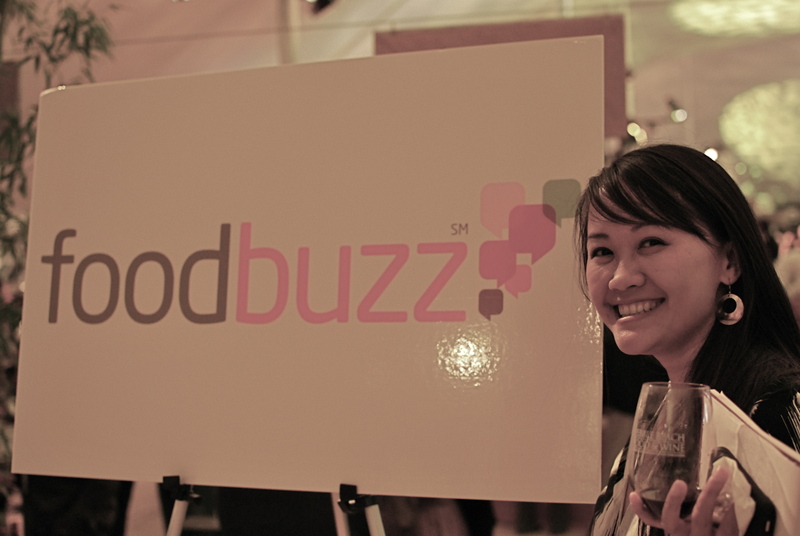 A HUGE THANK YOU to Foodbuzz for allowing me to attend this SWANKY-FOODIE-HEAVEN Event!! It was such an amazing opportunity—You all ROCK! 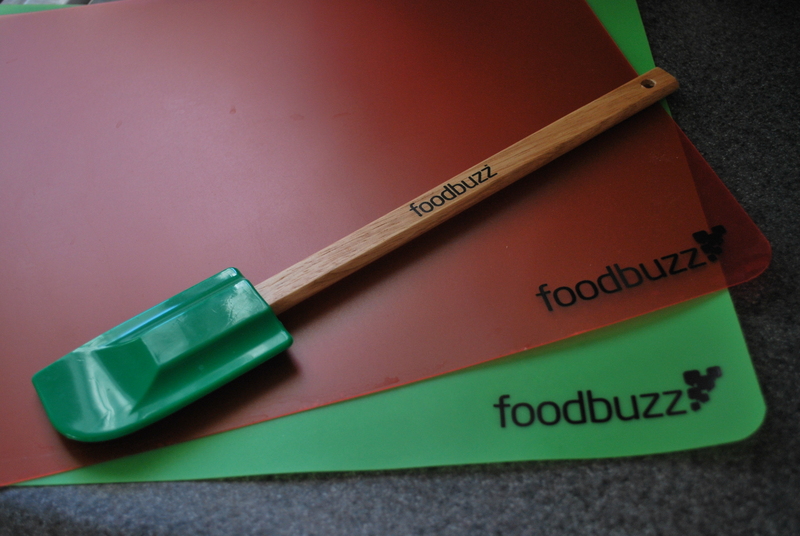 The Culinary Chronicles HEARTS Foodbuzz!! And DOUBLE THANKS for the DELUXE Giveaways!!!! 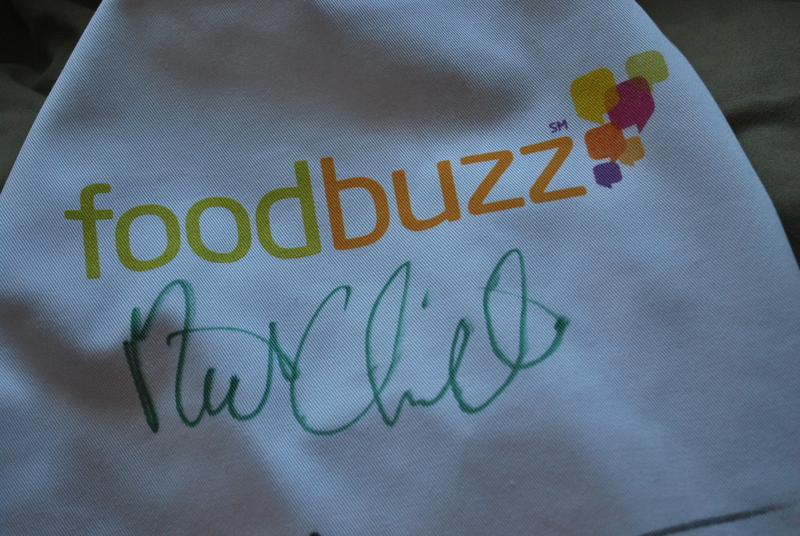 The Foodbuzz Apron was the perfect medium to grab my fav chefs autographs! gasp!!! have i died, and gone to heaven??? that’s what i would scream if i were there. speaking of attending, hey “anonymous”! do you want to go next year? i’d be willing to forego 3 jcrew sweaters for a ticket to this festival! even if we can’t get in, lets hover around the trash bins for leftover scraps! just kidding! or am i?? Trust me–I was squealing very similar thoughts the whole time we were there! You would have LOVED it! 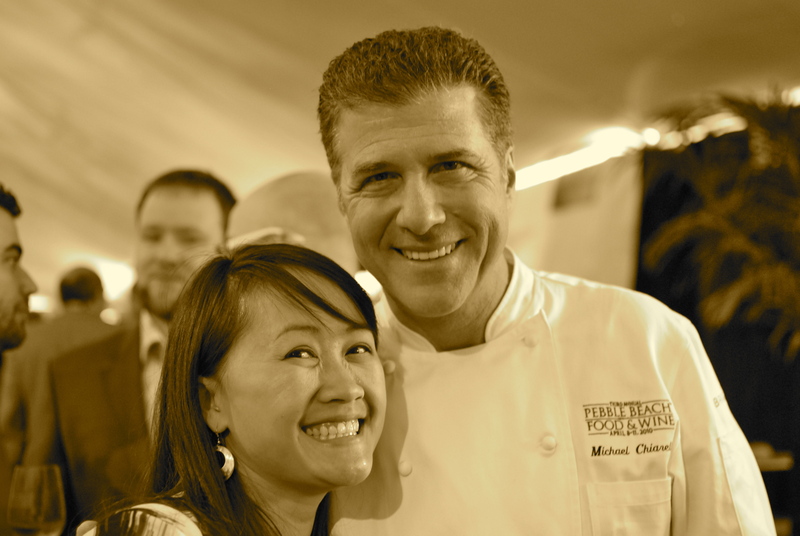 btw, i thought you were getting a back rub from m. chiarello in that one photo! haha! Oh, SO fun! 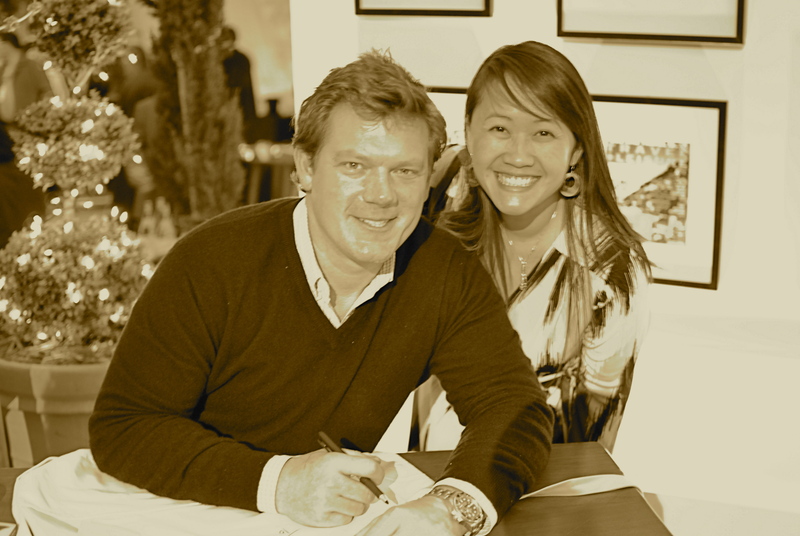 Loved your write up- thanks for taking me along for the ride (wish I could’ve been there!). Had no idea that Wente has an Annika wine; they’re not far from me, I’ll have to explore. 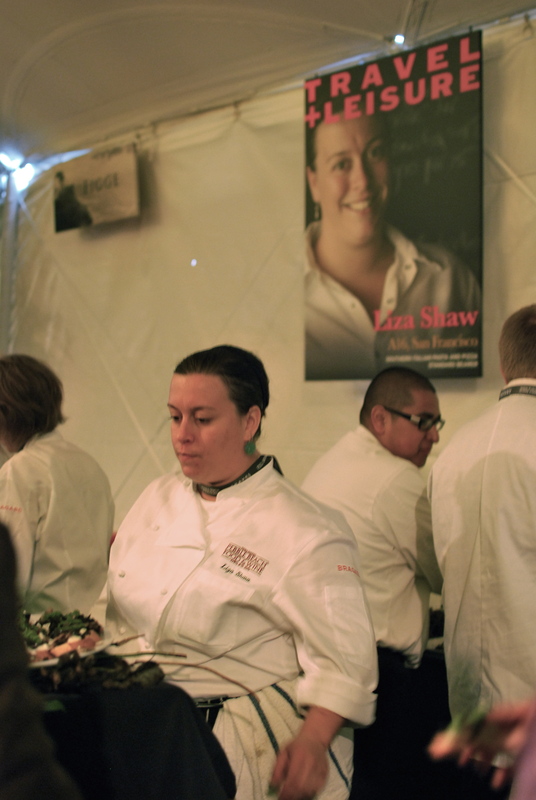 And to see Annika yourself, among other favorite food celebs! What serious fun! I’m glad you had such an amazing time! Hi There!! 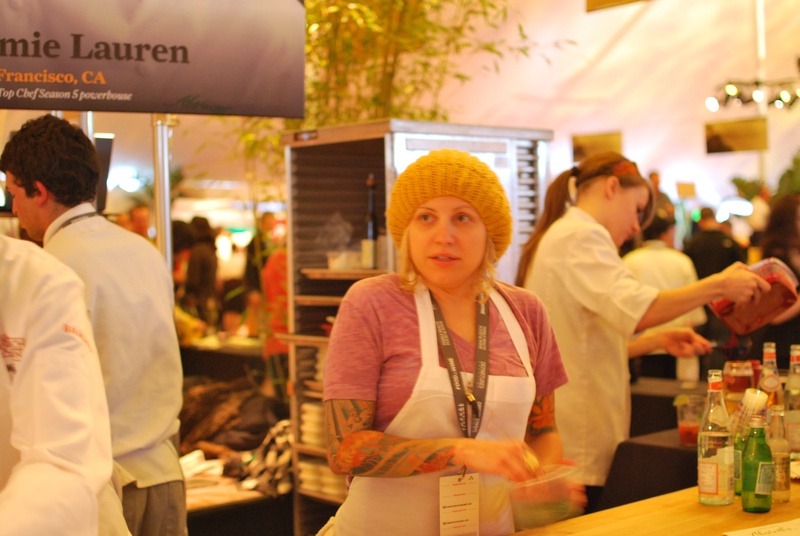 Annika was VERY friendly–just an added perk to a fab event! Hope you get a chance to head over to Wente to sample the Annika Syrah! 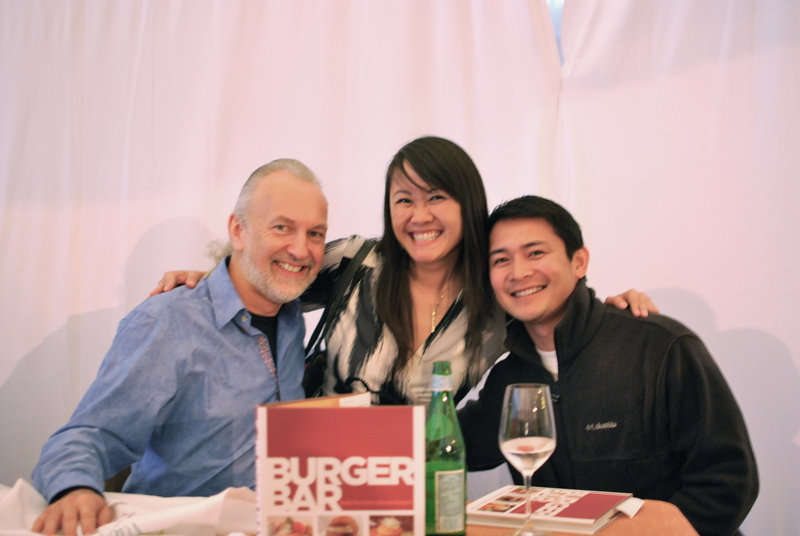 Your smile looks so cute with Hubert Keller! 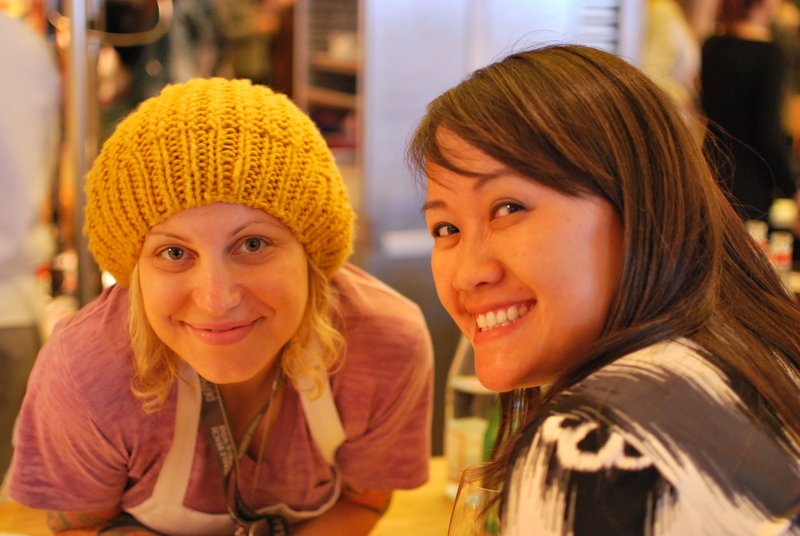 I love it, and goodness, I almost got buzzed from reading all your wine tastings, woman! 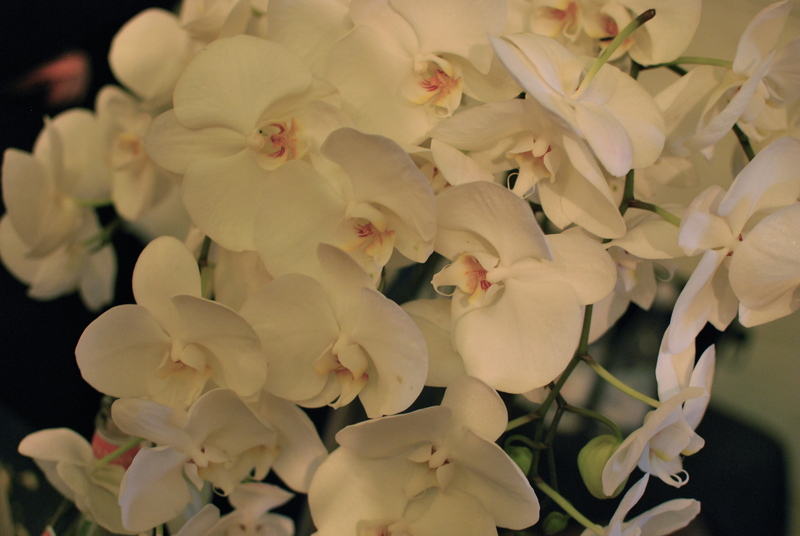 Fear not–most of the pourings were only a few ounces to sample. 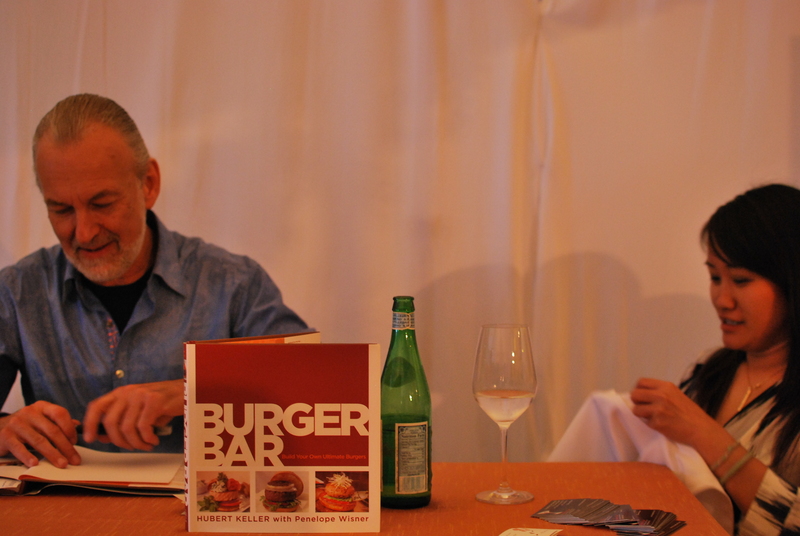 Though….after scores of tastings, I guess it all adds up in the end! What a delicious and comprehensive overview! 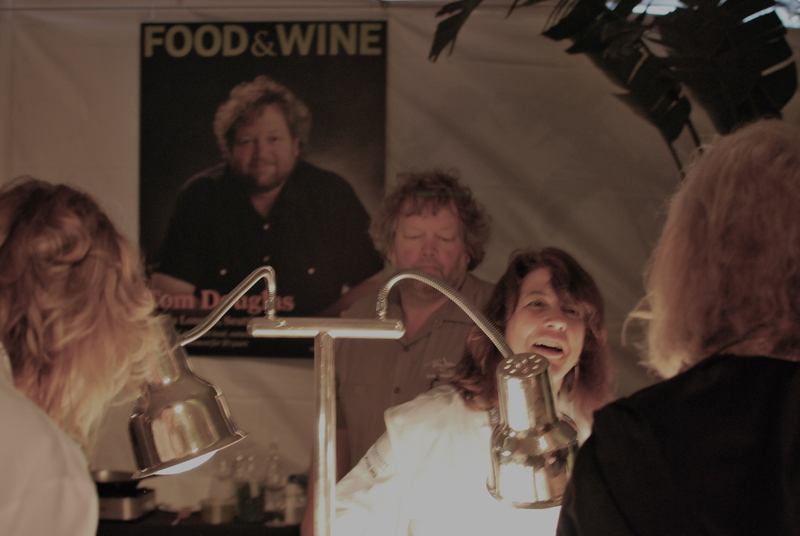 I feel as if I was peeking over your shoulder as you sampled the food & wine 🙂 Those culinary celebrity photos are frame-worthy! The picture of you and Jamie is so FABULOUS! 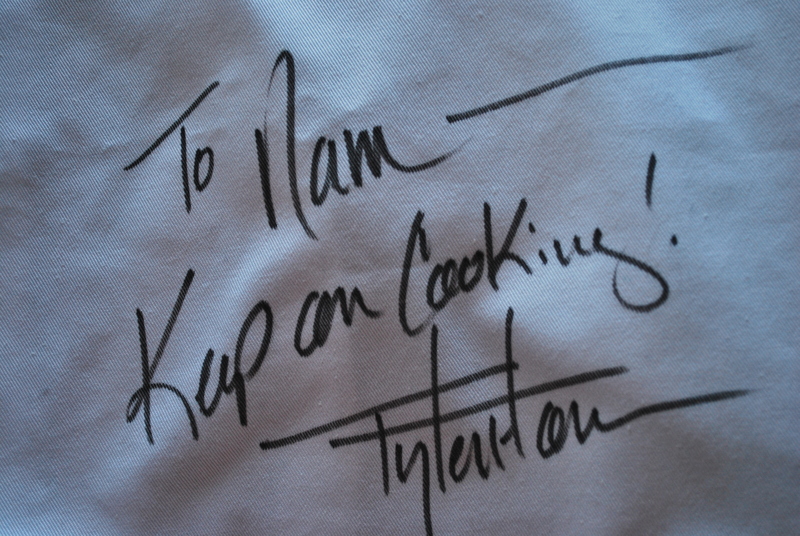 She is one of my all time favorites from Top Chef! But massive love for such a fantastic photo! We bought this canopy to shield our daughter from the Florida sun when we went on Spring Break. It’s really funny how it just pops open into a complete tent when you undo the straps. We thought it was funny, but you do have to be careful if you have little kids around! It was easy to fold up and pack away. A very good bargain! I highly recommend it.